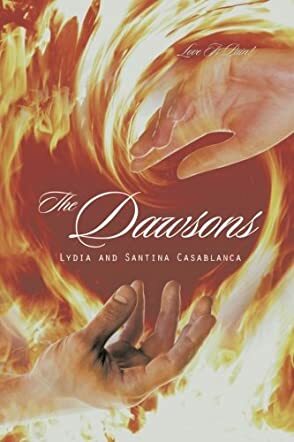 The Dawsons by Lydia and Santina Casablanca is a powerful story that features strong drama, a family saga, and a conflict that will remind readers of Romeo and Juliet. Derrick Dawson is a broken man, a man driven to the edge of insanity by the unfortunate situations that have taken place in his family and his past. As he drowns himself in alcohol with the hope of forgetting his sufferings, something unexpected happens: the granddaughter of his archenemy enters his life. Will he break the wall of enmity for Rose? Rosa could be the only good thing to happen to Francesco Dawson — after a life punctuated by loneliness and misery. But he knows having Rosa couldn’t be possible because of one man — King Antonio — who has explicitly forbidden Rosa to mingle with the Dawsons. Read on to discover the outcome. This is a wonderful story with a brilliant and captivating premise, a spellbinding conflict, and a plot that will keep readers intoxicated. Lydia and Santina Casablanca write in excellent prose and they create the type of characters that will win the hearts of fans of drama, romance, and family saga. The pacing is swift and the conflict is introduced immediately, escalated fast, and climaxes at a speed that blows the reader’s mind away. The reader will enjoy the masterful use of suspense which is developed with the changes in scenes, points of view, and plot lines. I particularly loved the dialogues — natural and dramatic — and the strong plot lines. The writing features very insightful and emotionally charged passages, a fascinating setting, and sophisticated characters. The Dawsons is a satisfying read and I won’t hesitate recommending it for the fun and entertainment it offers.